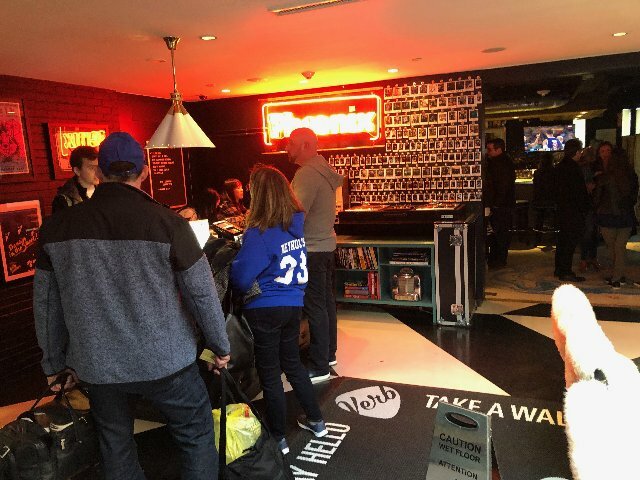 Verb Hotel behind Fenway Park. Giuliano photos unless indicated otherwise. The Phoenix in neon illuminates the lobby. 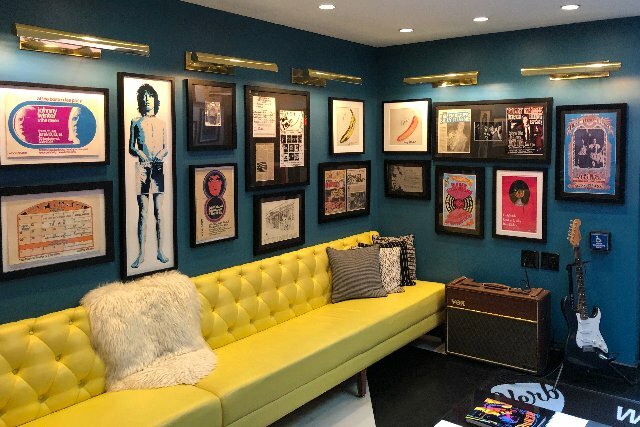 Rock memorabelia curated by David Bieber. Hanging out evokes memories of when rock was young. 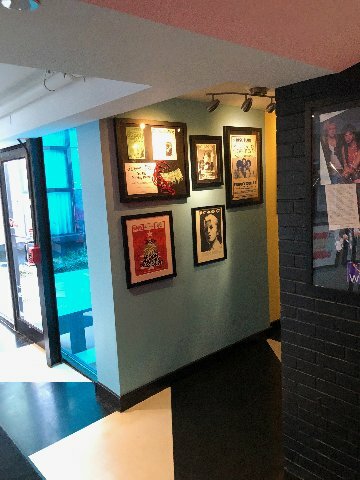 Rock memorabelia in every nook and cranny. Walls are hung salon style. 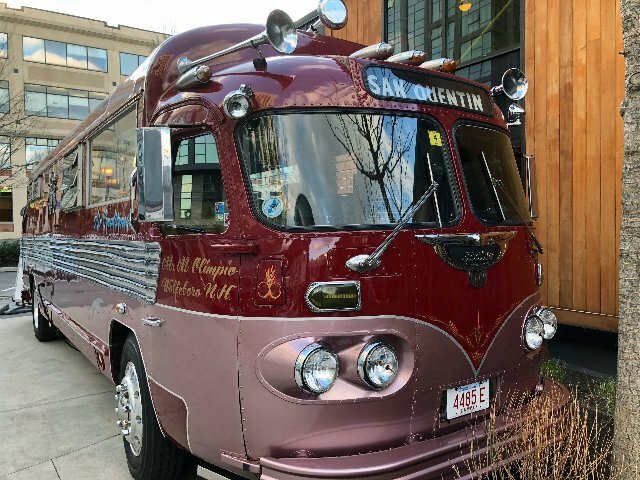 A vintage bus parked outside. Original site of the Boston Tea Party in the South End. Check the schedule of iconic bands for just a few bucks. Courtesy of the Bieber Archive. The Phoenix spread the word. Bieber archive. Ray Riepen taking a call. David Bieber photo. 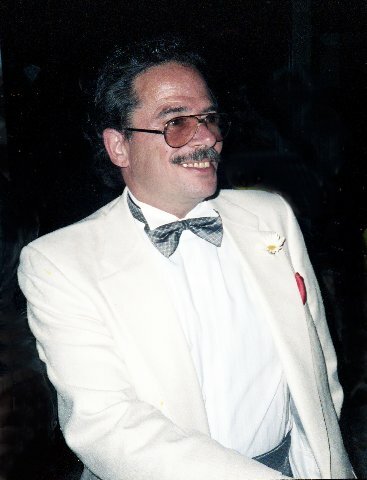 Former Boston After Dark/ Phoenix publisher Stephen Mindich. Author Ryan Walsh makes a point about the counter culture. 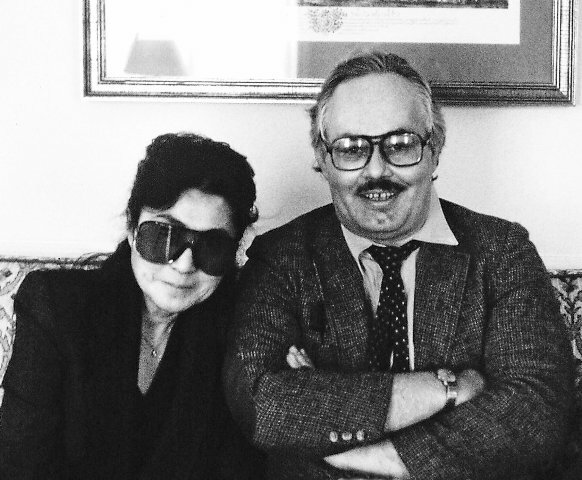 Charles Giuliano hunkered down with Yoko Ono. 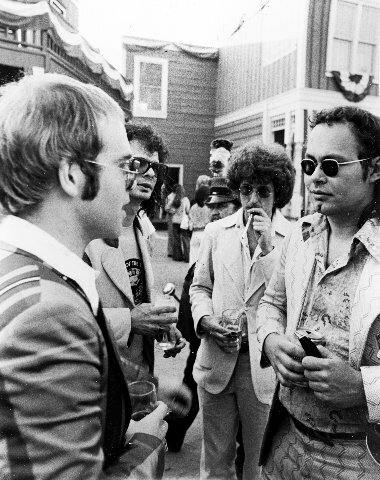 Me hanging with Elton John, Al Kooper and David Felton at Universal Studios. 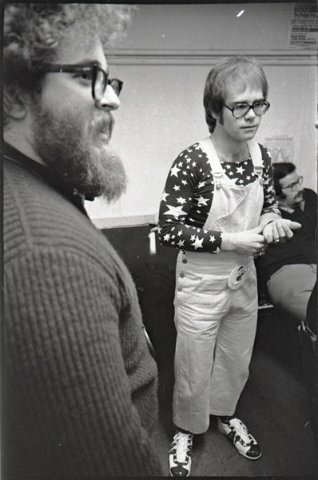 John Hockheimer with Elton John during his October, 1970 gig at the Boston Tea Party. Jeff Albertson photo courtesy of U, Mass Amherst archive. Vintage David Bieber courtesy of the Bieber Archive. Bieber today explaining his strategy for the archive. 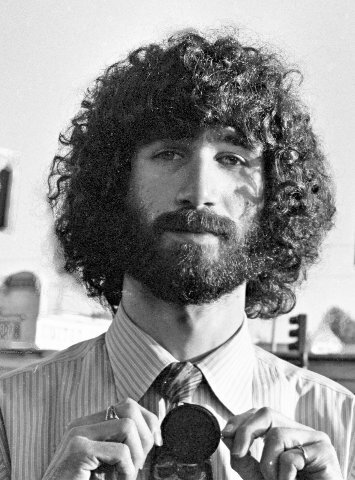 Filmmaker Bill Lichtenstein worked on his WBCN documentary for several years. Courtesy photo. The story of WBCN is told in the context of dissent and Boston's vibrant counterculture. 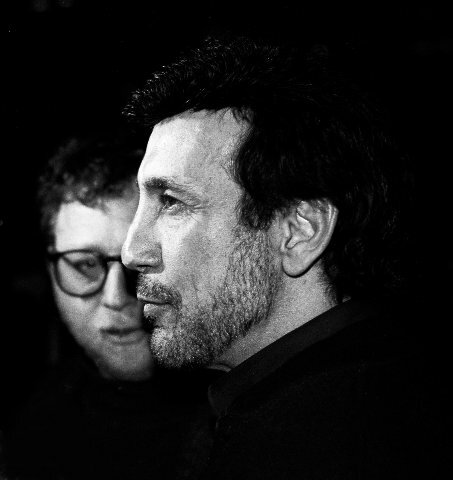 WBCN DJ's Charles Laquidara and behind him Danny Schechter. The lyrics of Buffalo Springfield's “For What Its Worth” from their 1967 album became an anthem of protest that defined an era. During the Summer of Love the counter culture stomped in San Francisco set to the marching music of iconic rock bands. There were Love-ins on Boston Common but nothing like the seismic events on the other coast. In the spirit of the times, kids came to Boston and camped in the shadow of government on Beacon Hill. It was different in 1968. Boston’s Finest cracked heads to get rid of the hippies. But as Bill Lichtenstein’s compelling documentary film “WBCN: The American Revolution” makes perfectly clear the love, peace and happiness of Haight Ashbury took a more radical, tougher edge when the torch was passed to Boston. Fast forwarding from 1776, to The Revolution of 1968, it was ironically inevitable that the mantra of “Don’t Tread on Me” would reemerge in Boston/ Cambridge. There would be a different version of Paul Revere’s famous midnight ride. As seen in the film a firebrand oration by Abbie Hoffman on Boston Common resulted in a march to Harvard Square. Today, a Cambridge activist friend e mailed "I’m just back from a full day with the 50th anniversary of the takeover of University Hall and the Harvard Strike of 1969. A real trip down memory lane." 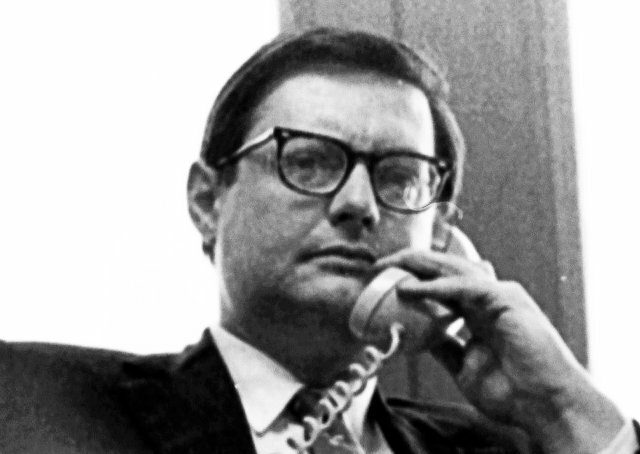 In the film, the late Danny Schechter, formerly the WBCN "News Dissector," described his role in ransacking files in the Harvard adminstration offices. He cleverly snuck incriminating folders out of Havard Yard. They revealed Harvard's efforts to support the war in Vietnam. The papers became a cover story for the SDS infused radical rag The Old Mole. There was similar complicity at MIT and on other campuses of major universities. Boston became the epicenter of national student strikes coordinated by organizers at Brandeis University. With graduates including Abbie Hoffman and Angela Davis, Brandeis was America's most radical student body and faculty. There were many vibrant elements in the emergence of Boston's unique and influential counterculture. 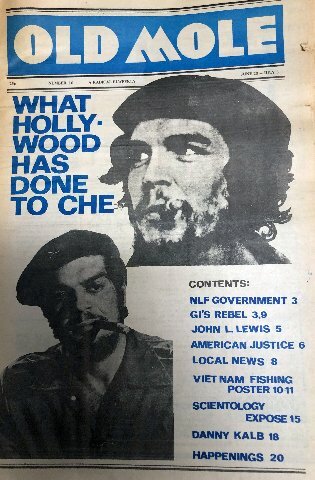 The underground press- Avatar, Broadside/Free Press, and Old Mole- would give rise to alternative weeklies Boston After Dark, Cambridge Phoenix, Real Paper and Boston Phoenix. Experiments with album oriented programming started at WBUR with DJ, Tom Gamash, known on air as Uncle T. He briefly joined WBCN where The Rock of Boston took off with a vengeance. The somnambulant, nearly bankrupt, classical FM station was convinced to go all rock by entrepreneur, maverick, visionary attorney, Ray Riepen. With partners whom he bought out Riepen created a media empire by taking over the Cambridge Phoenix and launching The Boston Tea Party. 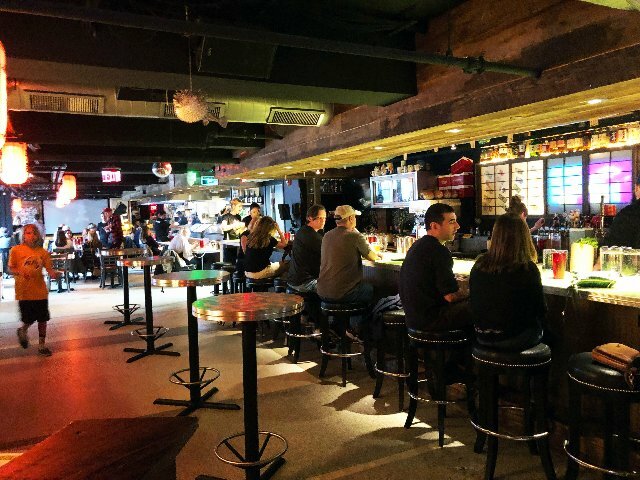 Compared to San Francisco, which celebrated the anniversary of The Summer of Love with exhibitions, concerts, and mass marketing Boston has been reluctant to blow its own horn. That may stem from its Puritan ethic or self-deprecating ignorance. That, however, is starting to change. In addition to the WBCN documentary there are books and special projects focused on a remarkable golden age and its colorful history. 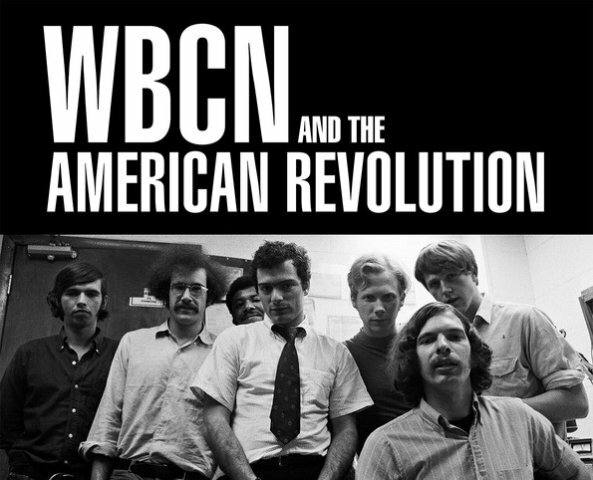 Be advised that tickets are going fast for the Boston Premiere of "WBCN and The American Revolution" as Centerpiece: Spotlight Documentary of the Independent Film Festival Boston, April 27 at 7:30 pm at the Somerville Theatre. There will be a talkback after the screening with the filmmaker and some of the DJ’s. 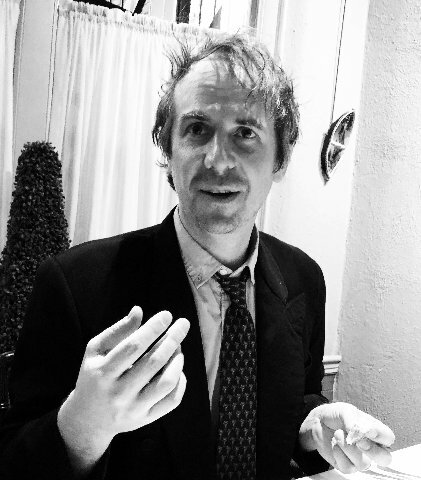 During a recent week in Boston we dined with Ryan Walsh the author of a successful book “Astral Weeks: A Secret History of 1968.” His book has been well reviewed and is selling briskly. The publisher, Viking Press, sent him on tour of the East and West coasts as well as England, Wales and Ireland. Most of the broad interest is based on Van Morrison but the book is also bringing wider attention to what went down in Boston/ Cambridge during that seminal year. A lot happened before and after 1968 but, as Ryan explained, it was best to stay within limits. It was indeed a productive year and epicenter for the counter culture. There were facts to get straight and mysteries to unravel. That entailed some 100 interviews. Walsh never spoke with the reclusive Morrison and has no idea what he thinks of the book. Right around my birthday, October 25, 1970, I got a call from legendary, west coast promo man, Norm Winter. He was hyping a new artist from Great Britain who was about to launch an American Tour at The Boston Tea Party. It was arranged that we meet for lunch. I inquired at the front desk of the seedy Fenway Motor Inn and was given the room number. With a towel around his waist a dripping wet Elton John answered the door. Not long after we met in the restaurant joined by the band. He ordered the executive club sandwich which I thought to be fitting at the time. When I asked what was going on in London, with a smile he answered “Me.” That night, before perhaps fifty people, I understood what he meant. 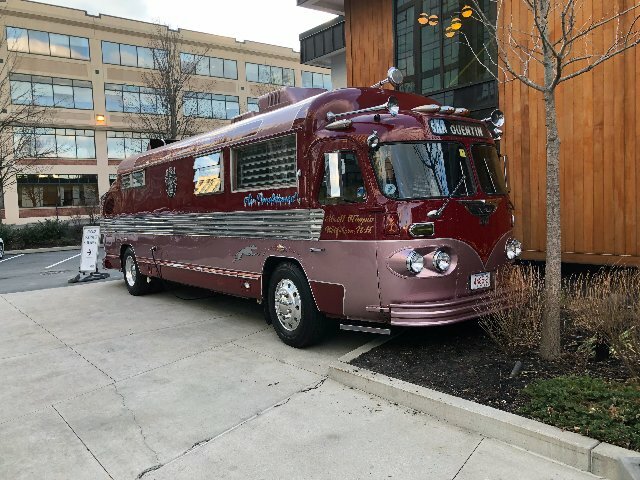 Last week we visited the Fenway Motor Inn just behind Fenway Park. But they don’t call it that anymore. 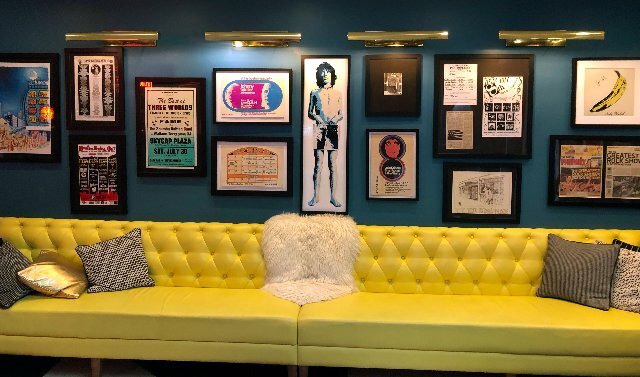 The boutique Verb Hotel is a vibrant shrine to Boston Rock from the golden age. 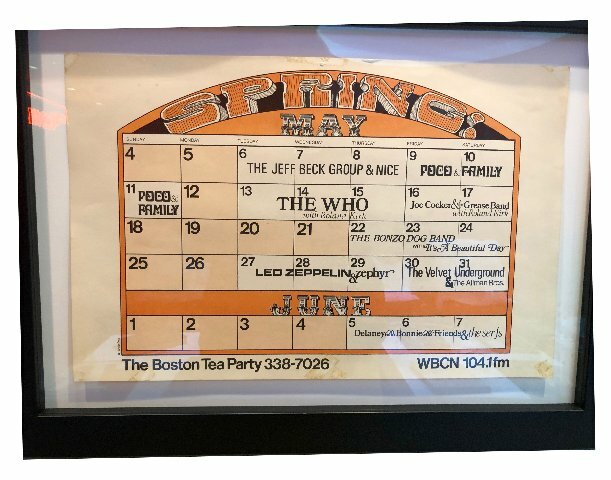 There are vintage posters many promoting WBCN, rock bands, and concerts at the Boston Tea Party. There is a library of LPs which guests can play on turntables in their rooms. A neon sign for The Phoenix illuminates the lobby. There was a lively buzz as guests basked in good vibrations of a time when rock was young. 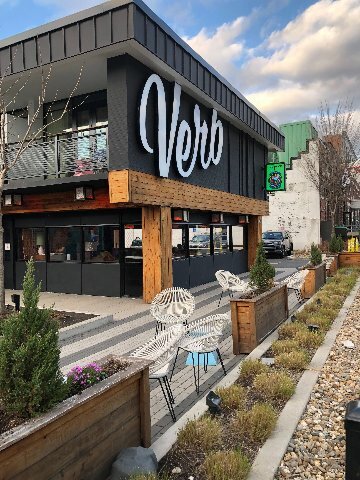 The Verb rocks with memories of so many great bands- The Stones, Who, Led Zeppelin- and Boston’s own J. Geils, Aerosmith, Cars, and Boston to mention but a few. 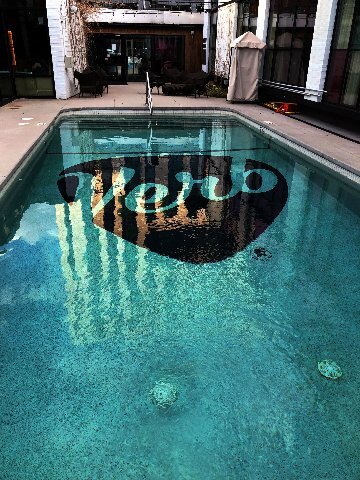 The Verb’s rock collection is curated by David Bieber. After finishing a master’s degree at BU he became music director of WBUR. That changed when new BU president John Silber, no friend of dissent, cleaned house. Bieber went into rock related advertising before joining first WBCN and later the Boston Phoenix and its spinoff WFNX. He was in charge of marketing and special projects. Starting in high school, Bieber collected Billboard Magazine for which he was later a campus correspondent. 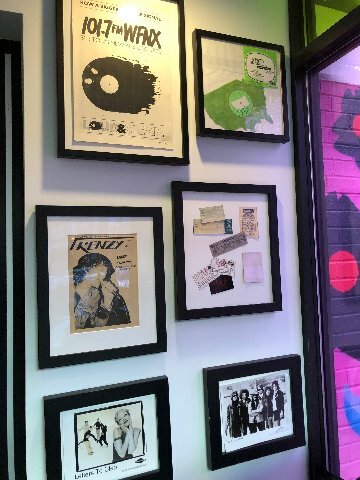 He acquired rock related memorabilia over the years. With some million items The Bieber Archive is stored on the second floor of a vast warehouse in Norwood, Mass. That we mention the second floor is particularly significant. When visiting recently we discovered that there is no elevator in the building. It is one of several in an industrial complex. That meant that hundreds of boxes, some quite heavy with albums, had to be installed by a human chain. Think of a bucket brigade putting out a fire. The worst nightmare for a collector is moving. Decades ago, I viewed the Bieber collection, then in relative infancy, in his crammed Somerville apartment. There have been a couple of moves since then. His favorite items, which he describes as a fraction of one percent, are displayed in his home. That’s the resource he drew upon for the Verb commission and a few others. It was A list material he could readily put his hands on. 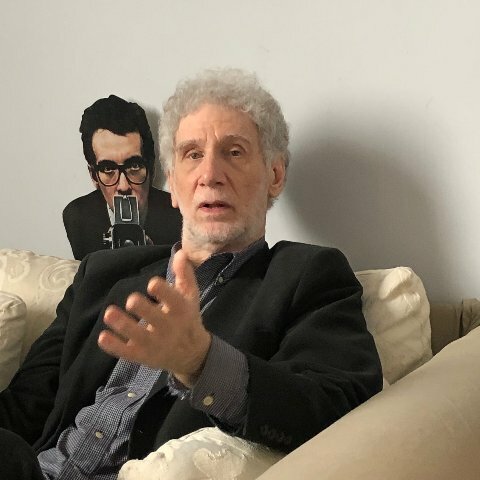 In Norwood, with a sweeping gesture, David said “You’re out there.” That referenced stacks of issues of Boston After Dark, Phoenix, and other publications I wrote for back in the day. He handed me a parody issue of Rolling Stone that he published as a Phoenix special project. 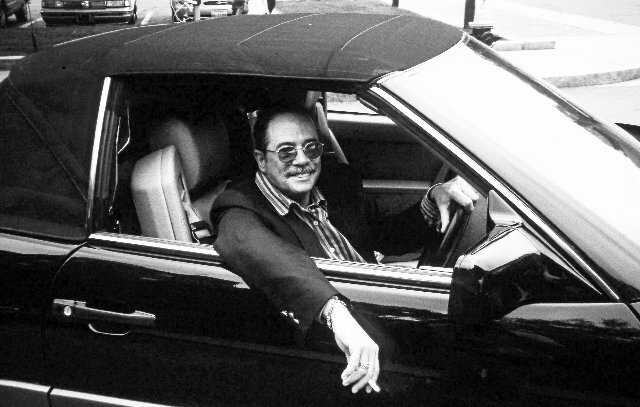 I wrote a spoof of Hunter Thompson that was illustrated by WBCN DJ, the multi-talented Charles Laquidara. Astrid and I arrived late in the afternoon when a staff meeting was wrapping up. It was a strategy session on how best to move forward with indexing and scanning the collection over the next few years. Though a gold mine for research and special projects, it will be a daunting task to make it more accessible. 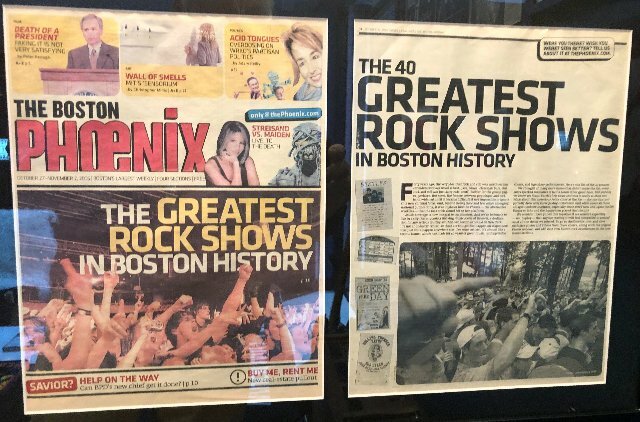 In addition to back issues of The Boston Phoenix and The Real Paper it has a treasure trove of music publications and fanzines. It is fair to say that little or any of this material exists in other libraries or archives. As I was talking with Bieber, just to blow my mind, one of his colleagues dropped in front of me several issues of Nightfall Magazine which I had edited. It was a slick, well designed publication which never found the audience it deserved. Pulitzer Prize critic, Lloyd Schwartz, covered dance and classical music for me before joining The Phoenix. There were epic battles to keep going and too many weeks with no paycheck. But it was a trip man to see that copies of Nightfall have survived. One of my cover stories was a history of WBCN then in the midst of its famous strike. 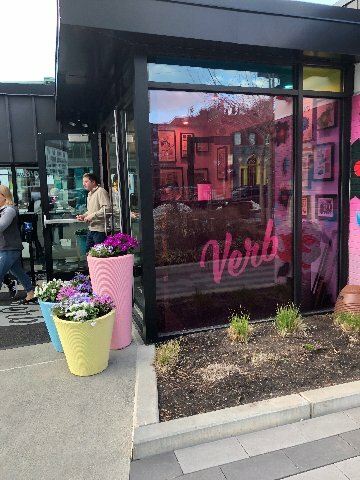 The Verb Hotel, Lichtenstein’s documentary on WBCN, and books like "Astral Weeks" are fast morphing into greater understanding of Boston’s unique counterculture. I am finishing a book of interviews "Counterculture in Boston: 1968 to 1980s." 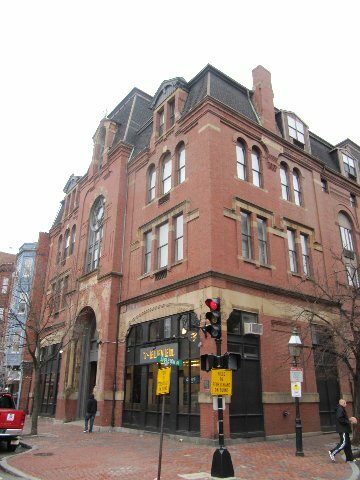 The bibliography lists some thirty plus books, past and present, focused on aspects of the colorful heritage of Boston. A number of books are lingering in various states as manuscripts. With growing interest and critical mass more will come to light. Heightened interest and attention also shines light on the urgency of legacy and preservation. Daunting for heirs and estates, a lifetime of creative work too often ends in dumpsters. The trash of one generation becomes the treasure of another. Emerging archival projects are taking on significant roles. 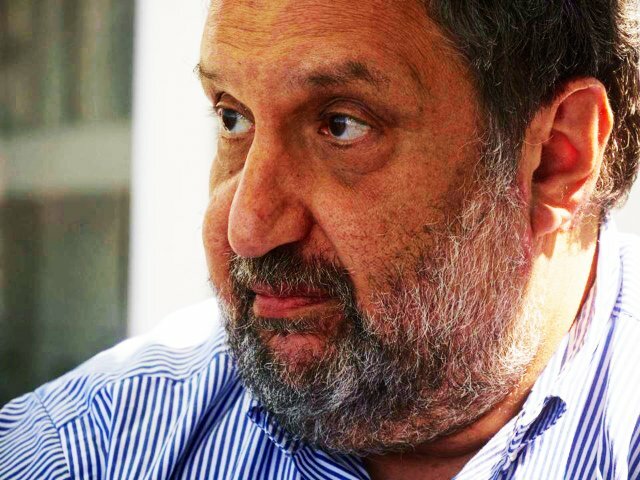 Former Phoenix publisher, Stephen Mindich, was terminally ill. With significant challenge, Bieber negotiated to have his formidable material acquired by Northeastern University. There are scattered holdings at Boston University and U. Mass Boston. Despite its many social justice graduates I am not aware of any archival efforts by Brandeis University. A major resource is developing at U. Mass Amherst. In a project development deal it acquired the material that Lichtenstein collected to create the WBCN documentary. The archive now holds negatives, slides and images from a range of 80 photographers. A focus of the collection is on aspects of social justice activism. It’s a cusp moment for Boston’s unique and vast cultural history. There is the challenge of getting the story told through exhibitions, media, publications, and word of mouth. How to convince the Museum of Fine Arts, Institute of Contemporary Art, Harvard University Art Museums and other museums and galleries to do the right thing? If San Francisco sees the win-win of promoting its culture then why not Boston? When and if Boston wakes up to taking pride in all that was created how then best to preserve artifacts for future generations? Trust me, it’s worth the effort, but nobody says it’s going to be easy.